This is a BETA feature - to request access, please contact Velpic. You can set up Lesson Categories to create logical divisions for your lessons in the library. 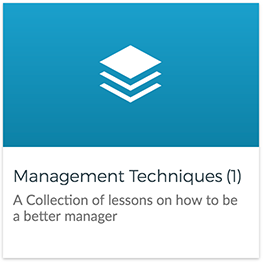 Select the Lesson Categories tab. 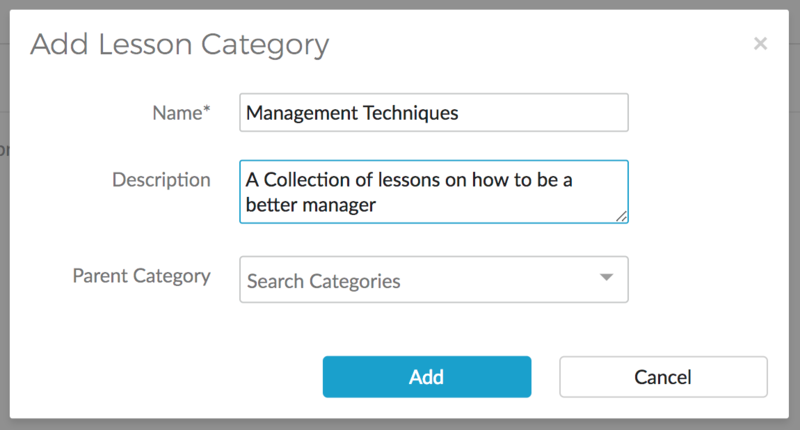 Once created, your category will now be selectable in the Lesson details view. Select the lesson name to view the lesson details. In the lesson Library section, you can choose a category for that lesson to appear in. NOTE: For the lesson to appear in the library, you will need to ensure the Add to Library setting is also enabled. Once you have chosen a category, select the Save button. The Lesson will now be available in the category in the library. 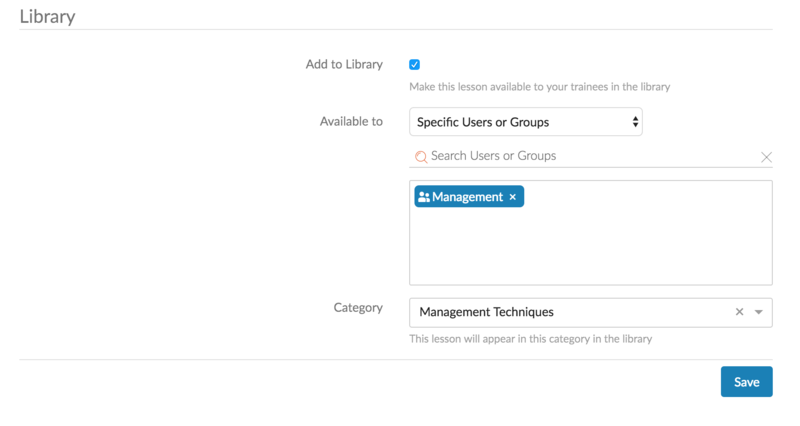 If the user does not have access to any lessons in the category, the category will not appear in the users library.